"I have been working on class assignments in the field since my first day of freshman year. 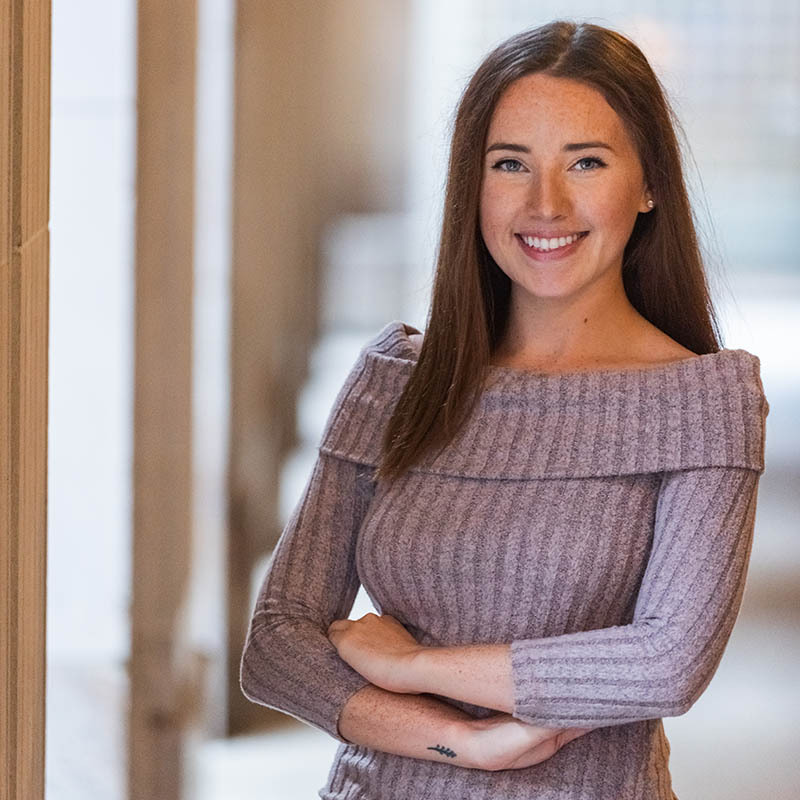 Additionally, I have had the opportunity to work alongside Pittsburgh media which has been a great way to make connections before I graduate." 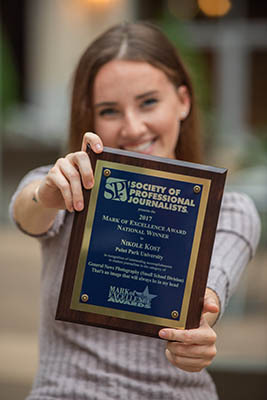 You were one of 20 students from around the world selected to attend the Online News Association Student Newsroom in Austin, Texas, this fall. What steps did you take to land this opportunity? I found out about the Online News Association Student Newsroom in one of the weekly emails sent to School of Communication students at Point Park. I applied and was accepted a few months later. Tell us about the hands-on experience you gained working in the student newsroom. The student newsroom was a real newsroom! I experienced a fast-paced environment under my mentor, Curt Chandler, a former photo editor at The Pittsburgh Post-Gazette. I completed multimedia assignments on a deadline each day. I also met people in the industry from all over the world. How did your Point Park experience prepare you to work in a newsroom? I have been working on class assignments in the field since my first day of freshman year. Additionally, I have had the opportunity to work alongside Pittsburgh media which has been a great way to make connections before I graduate. You are a Mark of Excellence National Award winner through the Society of Professional Journalists. What does winning a national award mean to you? Winning awards isn't everything, but to get any kind of recognition for my work has always given me a new burst of inspiration. Receiving this award has been an incredible experience and led to so many opportunities. I am humbled by this recognition. Read Nikole's winning story and see her photos: "That's an image that will always be in my head," The Globe, Oct. 17, 2017. What do you love most about being a Pioneer? I love that the small class sizes allow me to get one-on-one mentorship with my instructors. This has helped me excel academically and professionally. Point Park opens doors for students, but it is up to you to walk through that door. If you have the drive, dedication and a strong work ethic, you can do anything you put your mind to here.